Learn how we built ours. Innovation, service, and bravery are woven into the fabric of Maryville University. For nearly a century and a half, our aim has been to bridge the learning gap, make education more accessible, and set a new standard for excellence in student-centered, future-focused learning. We invite you to read more about our legacy — and learn how it can inspire your own. 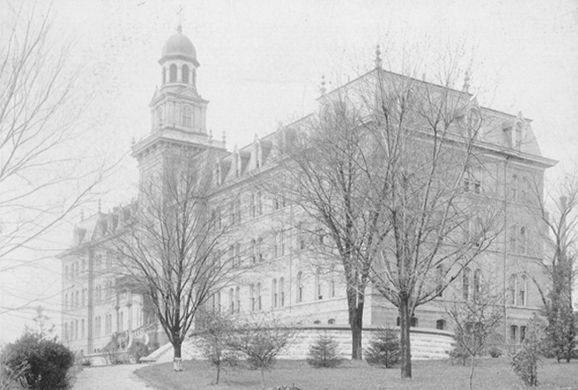 Maryville has been challenging the norms of higher education for nearly 150 years. When the status quo doesn’t make sense, we have the courage to change it. Take a look at our past and see how it has shaped our future. Founded by the Religious of the Sacred Heart as a private academy for young women and underprivileged youths. 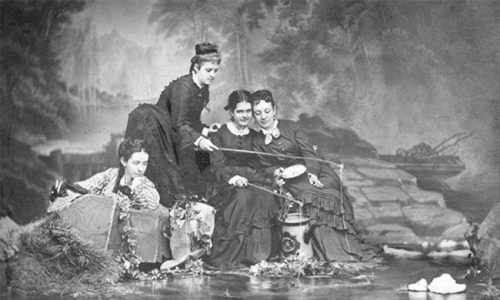 Visionary educators, the sisters leading the academy emphasized rigorous academics during a time when educating women was an innovative concept. Four young women received the first degrees conferred on the Maryville campus. The all-girls academy leverages its strong legacy and evolves into a junior college. Maryville College becomes an accredited, four-year institution — expanding in all ways, especially in enrollment, academic programs, and campus facilities. Maryville College awards its first bachelor’s degrees. Maryville purchases nearly 300 sprawling acres of land for its expansion and relocation. Cardinal Ritter dedicates the new campus of Maryville College on April 23, 1961 — marking the beginning of Maryville’s mission as a community-focused institution grounded in the liberal arts. Maryville admits male students under the leadership of President Mary Gray McNally. 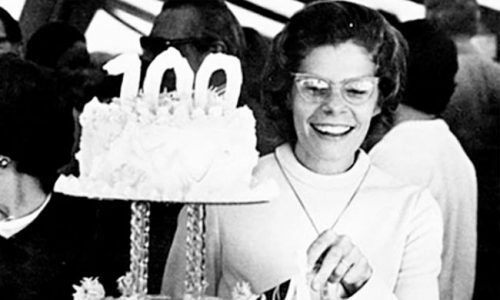 Maryville celebrates its centennial year in 1972. During the centennial year, ownership of Maryville College of the Sacred Heart transfers to the first lay board of trustees and the name of the institution is shortened to Maryville College. University President Harriet Switzer facilitates the merger of Maryville College and the nursing program at Mercy Junior College — creating Maryville’s Department of Nursing and Allied Health (the forerunner of today’s Walker College of Health Professions). Maryville launches the “Weekend College” initiative, which allowed working adults to earn a degree entirely via weekend classes — a first for the St. Louis area. Tech giant IBM becomes a Maryville partner. This relationship reinforced the college’s commitment to create relevant curricula in partnership with top employers. Maryville College officially becomes Maryville University of St. Louis. The reorganization resulted in the creation of the College of Arts and Sciences, the School of Business, the School of Education, and the School of Health Professions. We understand the courage required to step forward and move beyond what’s comfortable. And throughout years of change, we always held one constant: our promise to provide a high-quality college education to anyone with the desire to learn and drive to succeed. Today, Maryville is a nationally honored private college recognized for comprehensive and innovative education. We continue to challenge the status quo in higher education and remain hyper-focused on student-centered learning, outcomes, and success. That’s why we leverage technology at every turn and set new standards for excellence in distance learning. Our commitment to perpetual innovation is what allows us to deliver the highest-quality online programs to more students than ever before. We exist to help you discover your full potential — and provide the path to reach it. Enroll as an online student at Maryville, and join a community of brave individuals with the drive to reach new heights through higher education.